Sterling is a proud mother with 5 babies in this photo taken in March, 1993. To date I've never run into anyone else with a successful 5 baby clutch of Congo greys. Sterling was a young import in 1978; her mate Gandalf was an adult import in 1980. Paired in 1983, they began producing in 1985. Through 1995 they had 57 babies total. By far our most productive pair. 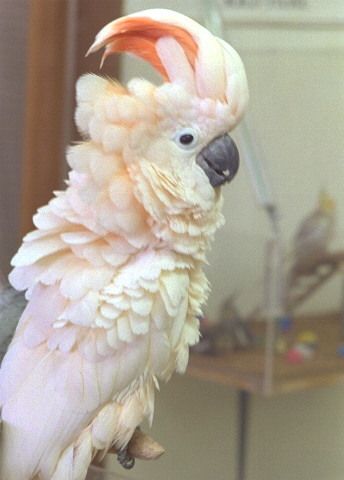 Moluccan Cockatoo at Arcata Pet in 1993. Raised here, bred in Eugene, OR. 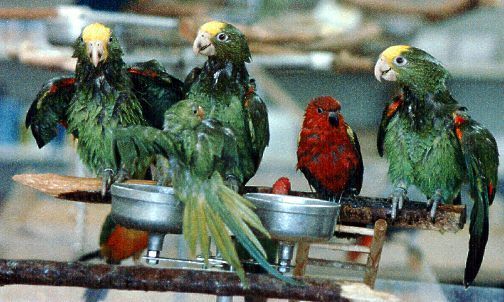 Baby DYH Amazons and Yellow-Back Lory taking a bath at Arcata Pet. Baby birds at Arcata Pet. 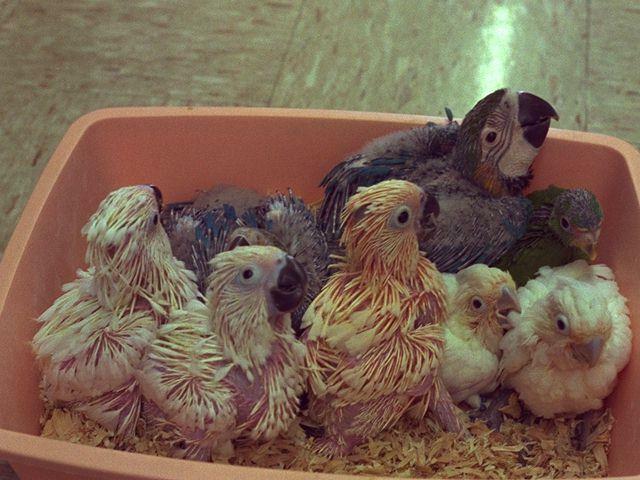 Includes Blue & Gold Macaws, Spectacled Amazon, Goffins Cockatoos, Umbrella Cockatoos, and a Moluccan Cockatoo.